Kodi, as the ultimate home entertainment center software, makes a great choice to access free IPTV links such as these working ones provided by Fluxus TV for April 2019. Learn how to configure and setup Fluxus TV Kodi IPTV addons including the PVR IPTV Simple Client to stream free movies, TV shows, and even live sports from these great M3U playlists. The addition of the Playlist Loader Kodi addon provides nearly limitless access to free IPTV channels through the use of multiple M3U playlists. We explain these two simple ways to utilize IPTV playlist files to access all the streaming free IPTV links you want; one without even relying on further Kodi addon installations. Fluxus TV is a very popular IPTV source provider that includes both working live TV and video on demand in their constantly updated live IPTV M3U playlists. We have basic installation and setup information to get you streaming from Fluxus TV channels below. You can also follow the available links to find out more about these great free IPTV addons for Kodi streaming of M3U playlist channels. When using free IPTV playlists found online, an encrypted VPN is highly recommended to hide your identity, location, and online activities. Many experienced IPTV channel surfers and M3U playlist users, including everyone here at My True Media, prefer IPVanish VPN. Fluxus TV provides six different M3U playlist files (thirteen if you include all their great international cinema M3U playlist files). Each list can be considered a category within the whole Fluxus TV network. You get live TV channels and radio stations along with streaming video on demand to watch hit movies and classics, spiritual and religious programming, closed-circuit camera feeds from around the world, and even content intended for adults only. The best and easiest ways to add free IPTV links into Kodi for virtually limitless free streaming IPTV channels is with the two following methods. We’ve written in detail about these two wonderful Kodi addons, so be sure to check out the write-ups for more information. You’re really gonna love both the PVR IPTV Simple Client addon and the Playlist Loader Kodi addon. First is the PVR IPTV Simple Client, which allows the loading and very simple navigation of free IPTV channels in one M3U file at a time. We have an article that explains this addon in more detail. PVR IPTV Simple Client is included in every installation of Kodi by default. It’s a wonderful way to access free IPTV links to streaming media online when you have an M3U playlist URL. Playlist Loader is a third-party Kodi addon you must download and install. This is currently located in the Kodil repository. This wonderful addition to Kodi allows you to install and access free IPTV channels from multiple M3U files together. You can further your knowledge about how to get up and running with it in our recent Playlist Loader Kodi addon article. This addon allows you to enable and watch unlimited free IPTV links. On the Kodi home screen, click the Add-ons menu item. Type the URL for the M3U playlist you want to use in the M3U Play List URL item, then click OK. You’ll find the free IPTV links to Fluxus TV channels listed below in this article. If not done already, click the Enable button in the PVR IPTV Simple Client dialog before closing it. You should get a pop-up telling you how many working IPTV channels have been loaded in the top right of the screen. Head back to the Kodi home screen and click the TV menu item to access your M3U playlist. You should see a list of all the live IPTV channels that loaded from the installed M3U playlist. Special Note: If you’re using a custom Kodi build or skin and not seeing TV in the main menu, you may need to enable the TV item to have it show up in the Kodi interface. Navigate to Kodi Settings, and within the Interface area you should find a Skin item. Click on Configure Skin and then enable TV so it shows up on the Kodi main menu. By the way, this list got a great shout-out from the Microsoft Technet site in an article regarding Kodi on Windows for IPTV Channel Surfing. 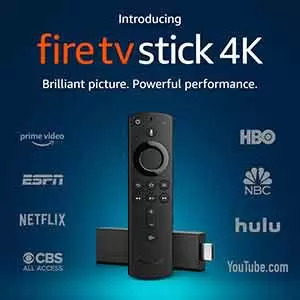 Hey, we’re really into our Firesticks here at My True Media, but installing Kodi on Windows will also provide access to watching nearly limitless free streaming IPTV channels. Launch the Playlist Loader Kodi addon. If you haven’t installed it yet, check our IPTV M3U Playlist Loader article to get this done first. Click on Add a New List then use one of the following Fluxus M3U playlist items to give Playlist Loader an M3U playlist URL. You can safely ignore the icon, channel icons, and cache time items. The input M3U playlist should now show up in the TV Channel Listings menu. Use the constantly updated list of Fluxus TV addresses below to setup your M3U IPTV playlists in the Kodi PVR IPTV Simple Client or Playlist Loader addons. Of course, you can use them in VLC, These free IPTV links provide tons of great streaming live and on demand video entertainment. Fluxus Cinema in Seven More Languages! If you want to watch movies in a language other than English, maybe you’ll find what you’re looking for in this list of free IPTV links on Pastebin. Many of these movies have audio and subtitles in multiple languages that can be selected while watching. The Arabic IPTV M3U playlist is especially popular. If you find any of these addresses broken, please give us a shout in the comments below or visit our Twitter , Facebook , or Reddit pages to let us know. We will keep these updated when and if they should fall once more. It seems I was a few days late in updating the free M3U lists, but they’re good to go once more. These IPTV playlists aren’t typically changed until the beginning of each month, so I snoozed right through their early update. If you ever notice an M3U playlist from this list stops working, let me know here. I’ll jump on it as soon as I notice your comment. Thanks, Samuel! Enjoy the show! Great local channels all except for premium stations HBO, Starz etc. Still, the quality of picture is tremendous for free IPTV service. I wonder if Ethernet makes a difference, as I am only using wifi at the moment. Keep up the good work. See you in February. Its great summary of the free IPTV access and i never any other places described so well on these step by step. Can you pls add Malayalam movies into Fluxus Cinema ? keine der Adresse funktioniert…. bei mir. Habe mehrere Schritt-für-Schritt-Anweisungen abgearbeitet. Trotzdem ist entweder nichts in der Liste, kein Sender, oder keiner der Sender lässt sich starten. Muss ich zwingend ein VPN haben??? Geht es zum testen nicht auch ohne?? Die Links wurden aktualisiert. Danke, dass Sie mich darauf aufmerksam gemacht haben. Ein VPN ist nicht erforderlich. Es hält nur Ihre Streaming-Gewohnheiten privat. Geniessen Sie die Vorstellung! Thanks for updating these. High quality free IPTV streaming like this online isn’t easy to find. I did not know about free IPTV channel surfing with Kodi. Thanks for the update; it’s much appreciated. IPTV links seem to have been updated where necessary. It is amazing that you can do this with Kodi. I thought it was all about the plugins, but with being able to select M3U playlists… (and changing them into exactly what I want included! )… that is incredible. Thanks for this great selection of free IPTV playlists that I can modify using a simple text editor! Thanks for the update; it’s much appreciated. IPTV links have been updated where necessary. Looks like PasteBin left the cinema m3u files alone so far.